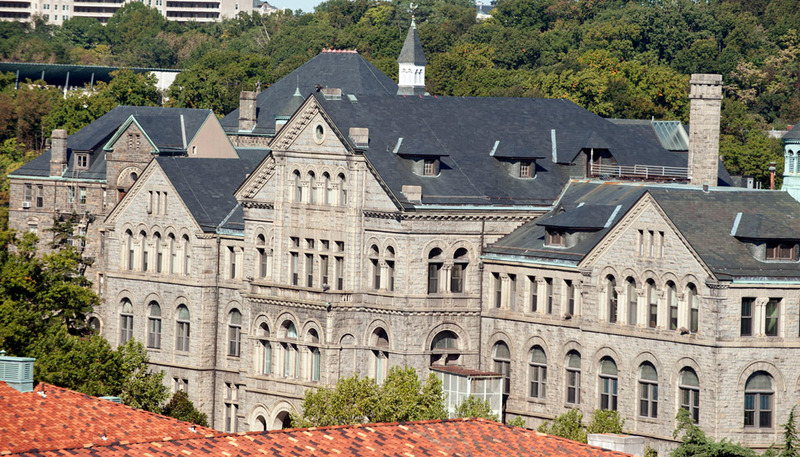 The Catholic University of America is unique as the national university of the Catholic Church and as the only higher education institution founded by the U.S. bishops. Established in 1887 as a papally chartered graduate and research center, the University began offering undergraduate education in 1904. University Motto: Deus Lux Mea Est. "God is My Light." Note: Catholic University welcomes people of all religious faiths. 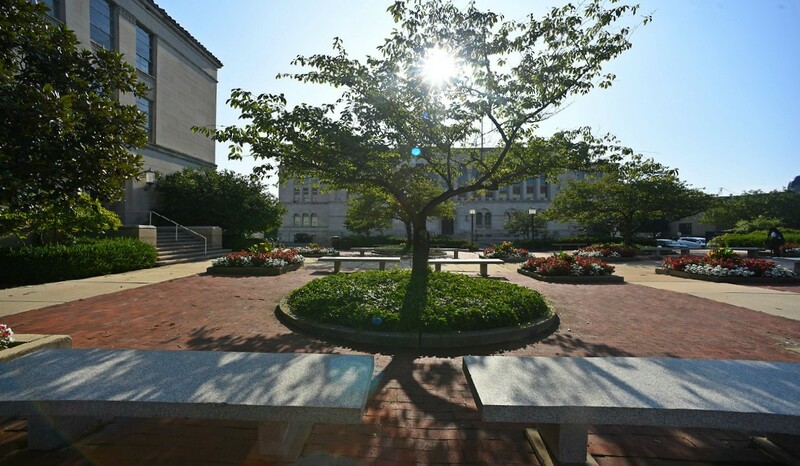 Note: The Catholic University of America is the largest college campus in Washington, DC. Note: Alumni live in all 50 states and 132 foreign countries. Note: Figures on this page are current as of October 2018. The Cardinals compete in the National Collegiate Athletic Association Division III’s Landmark Conference and, in football, the New England Women’s and Men’s Athletic Conference (NEWMAC), as well as the Mid-Atlantic Rowing Conference (MARC) in rowing. The University is home to 25 varsity intercollegiate teams. 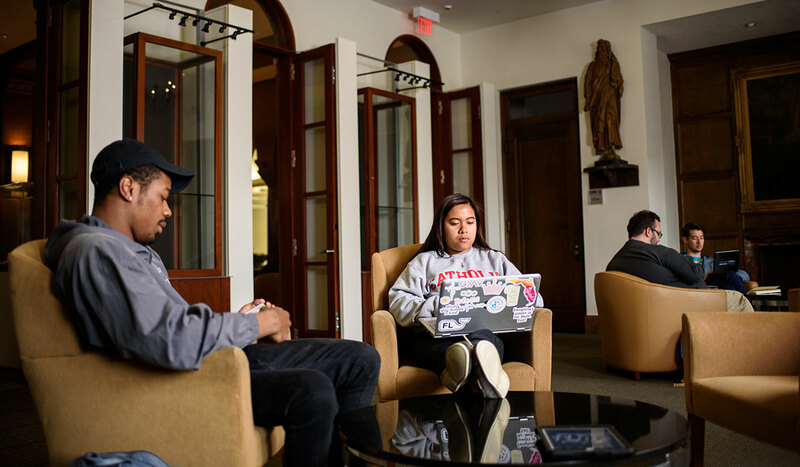 The Catholic University of America is a community of scholars, both faculty and students, set apart to discover, preserve and impart the truth in all its forms, with particular reference to the needs and opportunities of the nation. 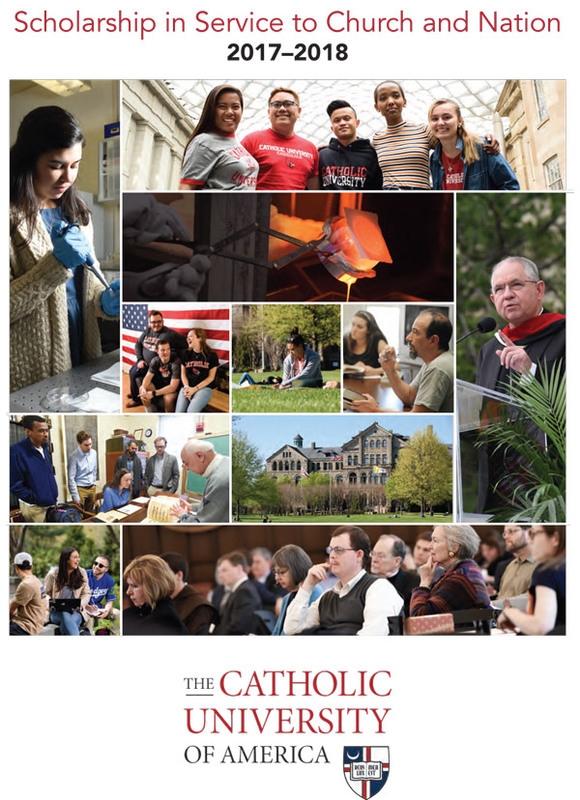 Read about the richness and diversity of the academic life at Catholic University in this report that highlights our extensive research and our abiding commitment to discover and impart the truth through scholarship. 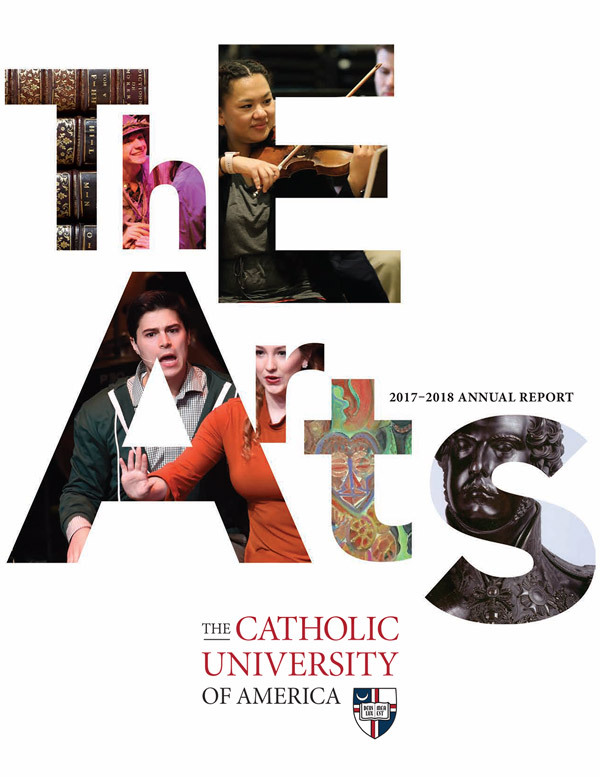 The 2017-2018 Annual Report focuses on the arts at The Catholic University of America.